Istanbul is the city where Asia meets Europe, with cultural heritage and natural beauty. 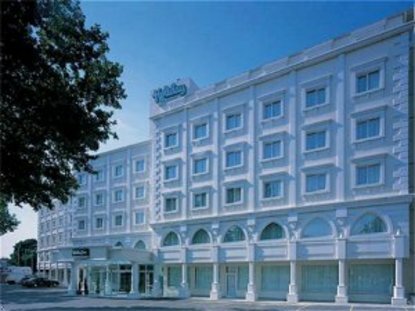 Holiday Inn Istanbul City is your five star hotel in the city and located next to the impressing historical city walls of Istanbul reflects the spirit of this very special city. It creates the ideal atmosphere for relaxing stay no matter whether you are traveling on business or on holiday.Info at www.hiistanbulcity.com12 km from Ataturk International Airport, and 2 km from Old City, Grand Bazaar, Hagia Sophia, Sultanahmet Mosque, Topkapi Palace, 6 km from Taksim Square. Public Transportation is available in front of the hotel. Take the tram directly to many of the key sightseeing attractions. Holiday Inn Istanbul City Hotel offers Turkish Hamam, Sauna, Steam Room and a comprehensive choice of speciality massages, aromatherapy and relaxation therapies at our Spa & Wellness Center. When you make your reservation from our web site, complimentary one way Airport pick-up service is between 07:00 - 22:00 hours from Ataturk International Airport. Please make reservations in advance. Coffee and tea maker in room with complimentary coffee and tea. Holiday Inn Istanbul City Hotel offers High Speed Internet access in the hotel rooms. Public areas such as hotel lobby and bar feature wireless LAN. Outdoor Swimming Pool is open.